I was having a not-so-good week at the office. I feel exhausted and distracted and felt like I needed some break. 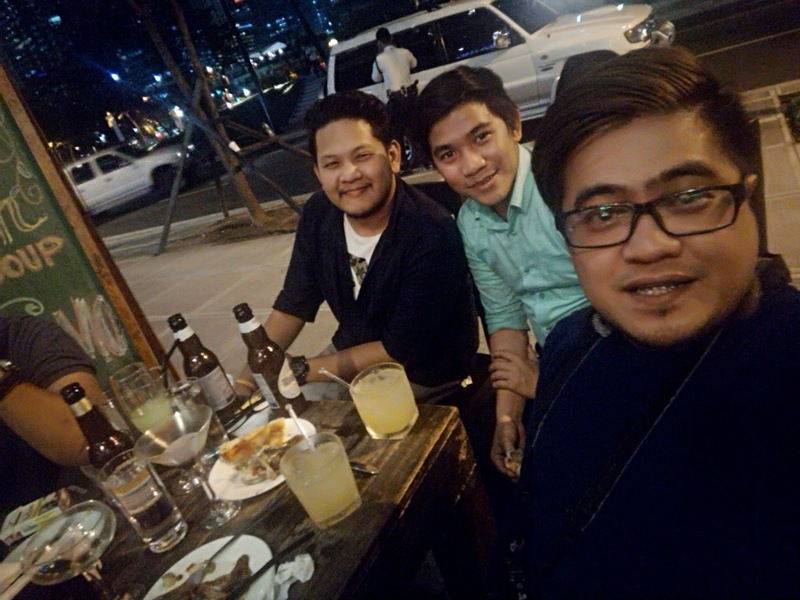 The invitation to celebrate Aussie Day last Thursday at Skippy's Bar and Grill at BGC, was a breath of fresh air. Stress eating and drinking might just give me a temporary relief to forget everything about office. 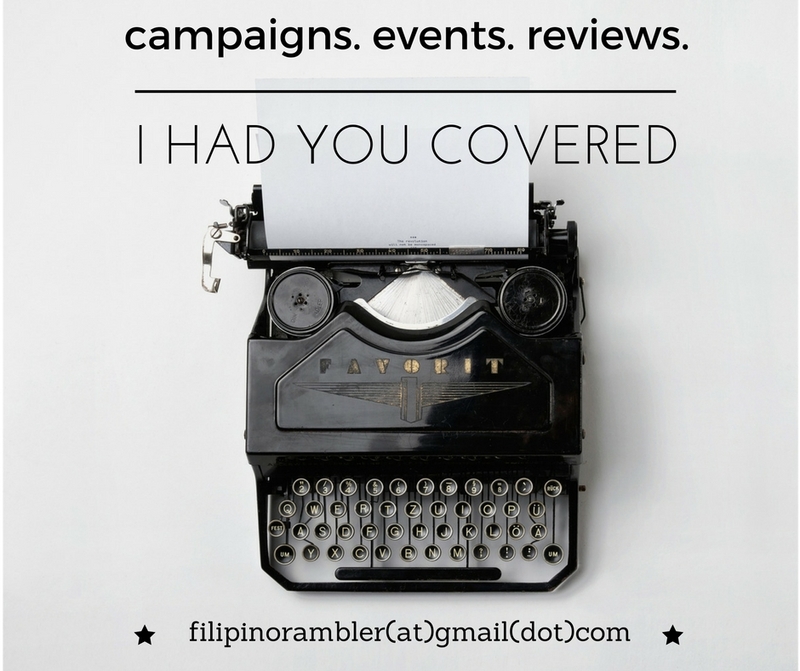 And so along with my good blogger bud, Lani (www.kamikazeegirl.com) , we hailed a cab from Makati to BGC. As it was after office, the traffic was hellish. We arrived at Skippy's Bar and Grill before 7PM and were welcomed by a group of other blogger friends who seemed to have been enjoying the food and drinks already. I immediately got excited. We were like 10 that night and thought maybe we can order food to be shared by everyone. Here are some of what we ordered. It was a gastronomic feast when these dishes landed the table. It was nice to begin with the chicken fingers. For carbs, I had the pizza but thought it was a little bland for my tongue. The sisig is a must try! It was so flavorful and the meat was crunchy and I love every munch of it. Everyone went ga-ga over the crispy pata-- my friends all liked it. I wasn't a fan of crispy pata hence, I did not lift a fork on it. My friend Lani savored the Beef Pot Pie. She must have totally loved it, she forgot to share it with me. 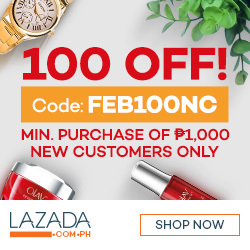 Ahihihihi. The hot wings were a great compliment for the beer. And oh, how I loved the beers! They have a variety of wines and cocktails and beers- adding fun to the night! Skippy's Bar and Grill offers a variety of booze. As it was Aussie Day, we painted the town red! I started off with a cocktail- Choco mon Royal ( White Castle, Frangelico, Bailey's with milk and chocolate sauce), and totally loved it. I love Bailey's and seeing it as one of its mix made it my automatic choice. We feasted on gigantic servings of mojito and margarita and lotsa Hoegaarden too! Cocktails cost around 130- 270 pesos; shots are at P110- the Flaming Lamborghini is at P450; local bottled beers is at P95-P110. Beer bucket is at P350- P450. And yeah, we had tons of fun! It was my first time at Skippy's and yeah I was digging the place. It was nice place to hang out. There are long tables for big groups. They have a nice outdoor seating too. There's a billiard table inside, and scheduled band performances on weekends. There are several TV screens too and sports fanatics will surely enjoy watching them live! I had a fun Aussie Night at Skippy's. Indeed, this is Australia's best at The Fort. If you're looking for a great food hub with a nice watering hole, Skippy's is definitely recommended. The staff are wonderful and very helpful too. 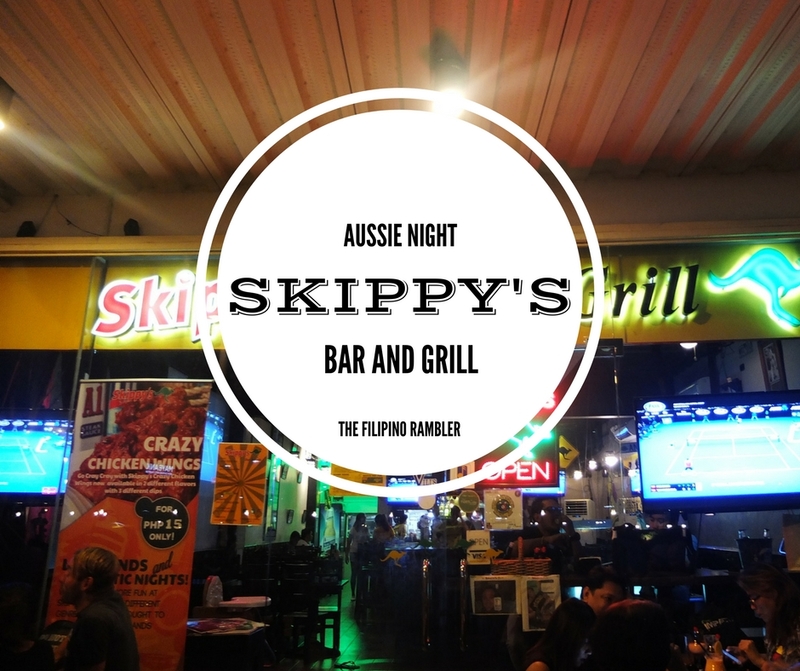 Unwind or catch up with your squad for a fun night of talk, food, booze and music at Skippy's Bar and Grill! PS. I was impressed with how fast their WiFi connection was. We were watching the Miss U preliminaries while drinking, and it was a smooth streaming. Awesome!